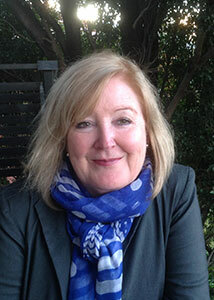 Beverley Foster is a nationally accredited mediator, practicing lawyer and registered family dispute resolution practitioner with the Attorney General’s Department of NSW. Family & Workplace Mediation Solutions is a boutique alternate dispute resolution practice operating in the inner west of Sydney including Drummoyne and the Balmain areas,the greater Sydney region including the lower north shore, Parramatta, the Macarthur region and stretching out west to the Blue Mountains and Penrith. 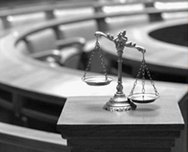 The practice has evolved out of our genuine passion for alternate dispute resolution away from courts and tribunals. After having had extensive experience in various courts, Beverley recognises that, in the end, the court system, in most areas of law excluding of course the criminal jurisdiction, while providing a decision for the parties, more often than not, does not provide the solution. Our focus and extensive experience includes mediating disputes in the areas of family law involving separating and separated couples with and without children, grandparents as interested parties, financial and property matters, in the workplace for employers and employees including bullying complaints, wills and estates challenges, commercial disputes, partnership disputes and debt recovery. Beverley’s focus in all of her dispute resolution work is not only a solution but a sustainable one. A resolution of the dispute is valueless otherwise. Beverley has been a lawyer for over 27 years and has been mediating for over 13 years. Beverley was registered with the Attorney General’s Department as a Family Dispute Resolution Practitioner over 7 years ago. Beverley is engaged directly by parties with and without lawyers, through various legal firms on behalf of their clients and by agencies in Sydney and NSW. Beverley is engaged in the Family Court property mediation program, is a member of the Law Society’s mediator’s panel, the District Court of NSW mediation panel and she has conducted several hundred mediations. 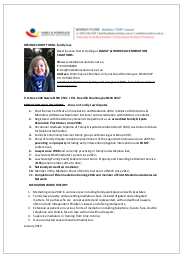 She is a current member of the Law Society of NSW and various dispute resolution associations throughout Australia including LEADR/IAMA, the Law Council of Australia, AFLAM, AMA and ADRA. Beverley holds a Bachelor of Legal Studies and the Vocational Graduate Diploma of Family Dispute Resolution from The Australian Institute of Relationship Studies and is committed to remaining current in the ever evolving dispute resolution methods and research and the changes in law. Our practice conducts mediations face to face and or via telephone so location is not a problem for us. We have access to rooms in various locations throughout the state which we arrange for the parties and we ensure that all venues chosen are safe and secure for all of those difficult conversations. It is important to know that mediation of any dispute can take place at any time whether you have commenced court proceedings or you are thinking about it. Always make an enquiry of a professional accredited mediator as to whether your dispute is suitable for mediation. Beverley continues to practise as a lawyer in family and workplace law and brings to the mediation her extensive legal experience and expertise. This experience and expertise is combined with her passion for dispute resolution providing an exceptional foundation to assist you to resolve your dispute.